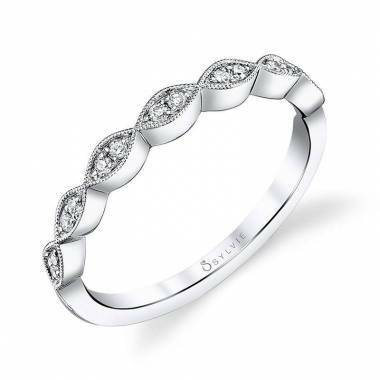 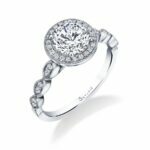 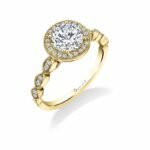 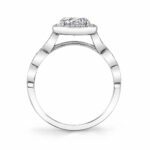 A fan favorite, this vintage inspired stackable engagement ring is designed to pair perfectly with mixed metal stackable bands and features a dazzling, 1 carat round brilliant diamond surrounded by a single halo of shimmering diamonds with milgrain accents. 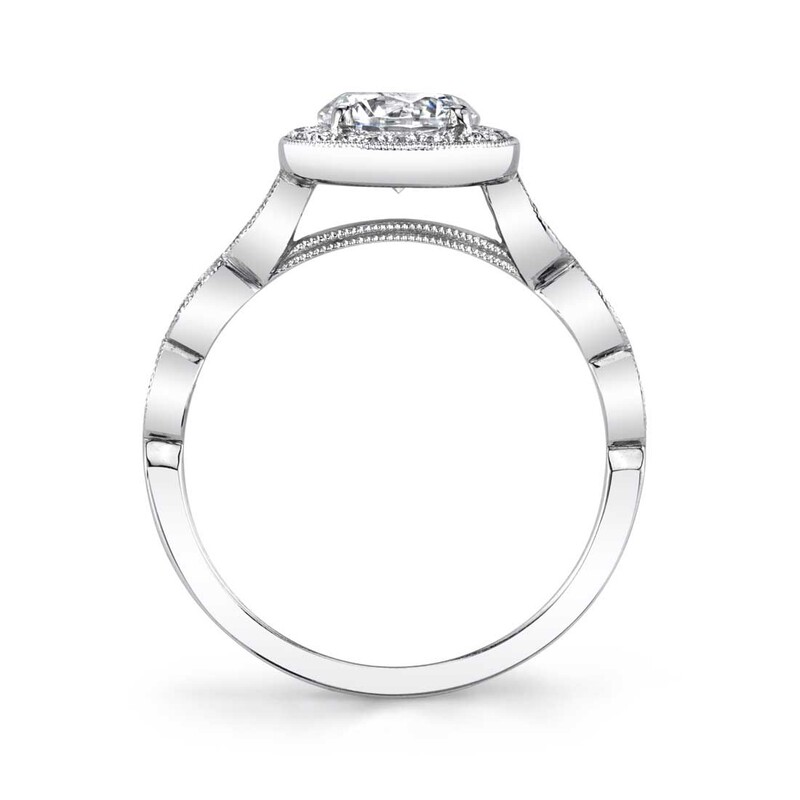 The shank stands out with its diamond encrusted marquise milgrain accents on both sides of the shank. 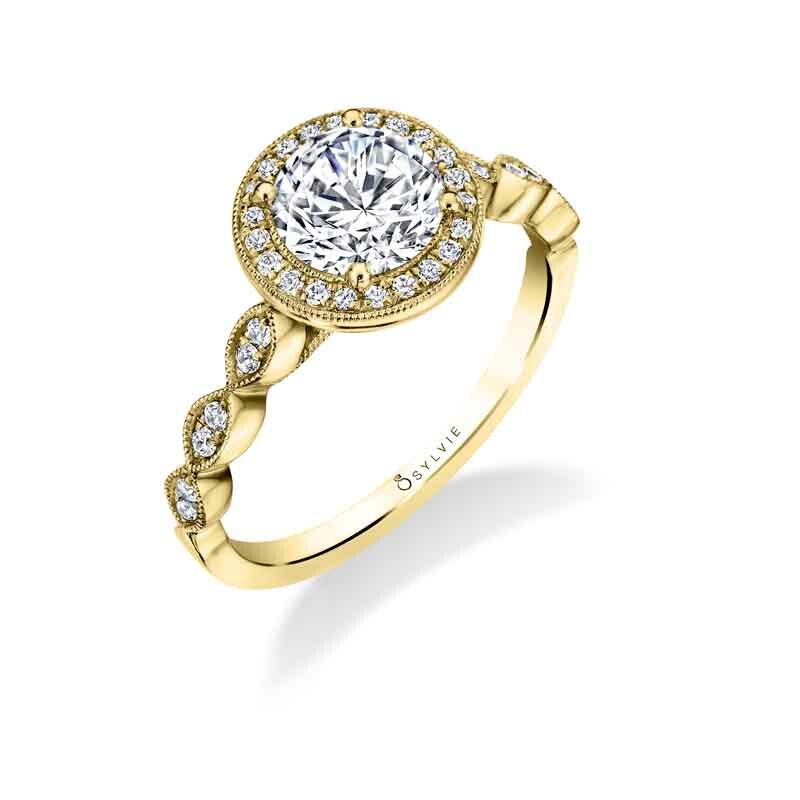 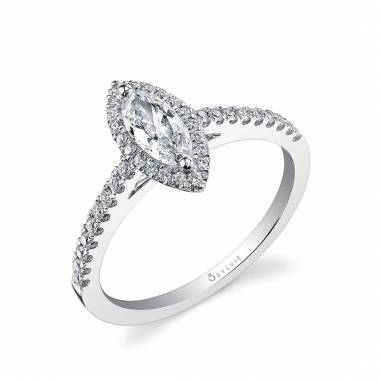 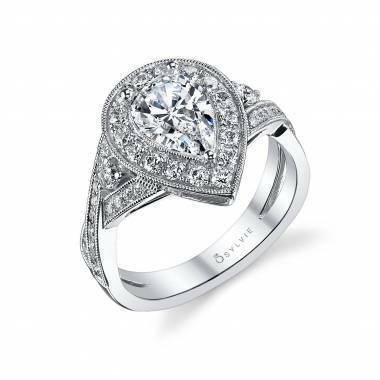 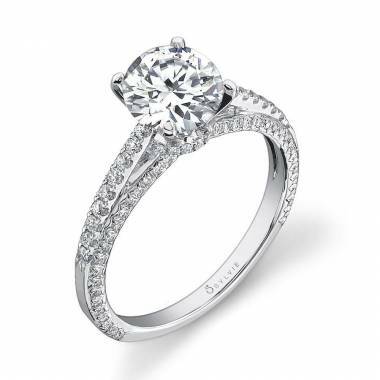 The total weight of this gorgeous vintage inspired engagement ring setting is 0.16 carats.